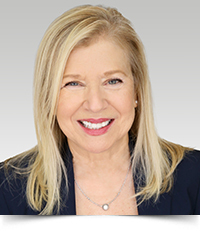 Linell M. Lukesh, Partner in Reger Rizzo & Darnall’s Philadelphia Office, concentrates her practice in the areas of general commercial litigation, utility and corporate law, and special education services. Throughout her more than 20 year career, Ms. Lukesh has successfully defended clients in a wide range of matters, including general liability, restaurant liability, transportation, motor vehicle injury, property damage, products liability, toxic torts, defamation, construction litigation, workers’ compensation, and employment claims on behalf of insureds and self-insured companies. She has litigated cases in Pennsylvania and New Jersey state courts, and has represented clients before the Pennsylvania Public Utility Commission. Additionally, Ms. Lukesh has served as Solicitor for the West Wyoming Borough Council in Northeastern, PA. For more than 20 years she has provided legal representation and guidance, including assisting the Borough in qualifying for the Pennsylvania Early Intervention Program, and representing the Borough in land use and zoning matters, Collective Bargaining Unit Matters, securing unfunded debt and tax anticipation notes, advising on employment matters, preparing municipal liens and bid packages, and advising the Borough under Act 111 and Act 195 for police and public works department matters. Ms. Lukesh has also represented various types of non-profit and tax-exempt organizations in a wide range of corporate, governance, charitable giving and other non-profit issues. She has extensive experience working with non-profits on entity formation and their applications for state and federal tax exempt status. She provides counseling on Board of Directors’ governance issues, fiduciary duties and compliance with state and federal rules and regulations. She also works closely with key organization personnel in order to evaluate the organization’s policies and procedures to ensure ongoing compliance with state and federal laws. Prior to beginning her legal career, Ms. Lukesh pursued a career in child care administration. During this time, she served as a federal projects officer in the United States Department of Health & Human Services where she concentrated on evaluating program services to disabled and low-income children and families, including IEP evaluations and providing compliance audits on performance, management and fiscal departments for Head Start programs in a five-state area. Ms. Lukesh established and oversaw the administration of Head Start, a federally-funded non-profit organization, in Luzerne and Wyoming Counties in Pennsylvania. Today, Ms, Lukesh utilizes these experience to represent school districts, administrative personnel, teachers, and third-party vendors in special education-related matters. She works to implement preventive strategies so her clients can minimize their exposure to legal risk and potential liabilities. She provides compliance-related consulting services to her clients so they can ensure all they meet regulations under Medicare and Medicaid. These compliance services include training of staff to recognize fraud, waste and abuse, and development of the organization’s compliance plan, as well as evaluating the implementation of said plan. Additionally, when needed, Ms. Lukesh stands ready to represent schools and related institutions in administrative, judicial, due process and other legal proceedings, as well as arbitration and mediation sessions.